Monday is my Friday, weird right? Well that’s what happens when you work weekends. I work Fridays through Mondays and generally by Monday evening I am stupid tired. I usually don’t do anything more active than going home, making something to eat, watching tv and zoning out until bedtime on Mondays but every now and then my social life intervenes with my laziness and I end up out there in the world, being social. My friend KL had a gift card for The Keg so that’s where we went for dinner. 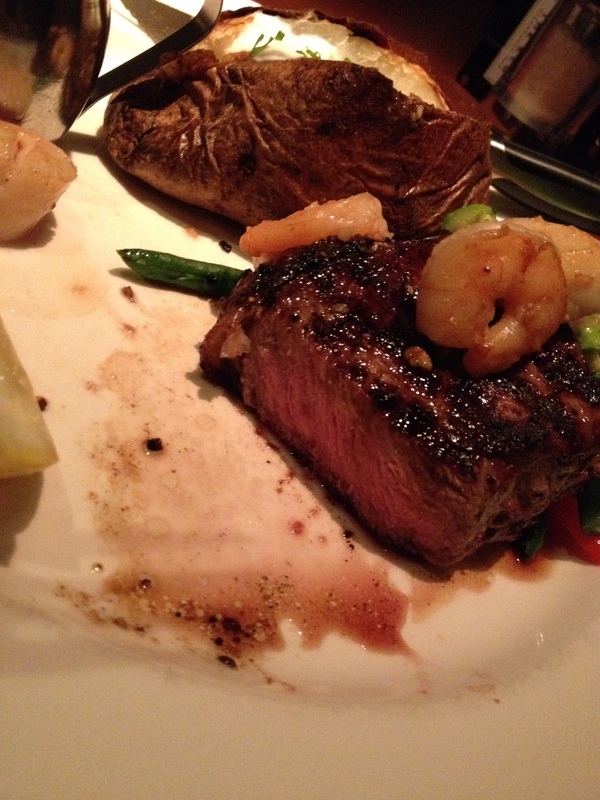 I had a first experience on Monday, I ordered a steak for dinner and omg why have I not been eating steak all this time? Oh so good! As you can see I chose the baked potato as my side and the restaurant automatically puts the sauce on the side, which I appreciate. It may not be proper etiquette to dip food but I’d rather dip the cut pieces of steak in to the sauce than pour the sauce on to my dinner. My friend poured the sauce she got with her dinner and used the whole thing, by dipping I used about half of what I was served and while it may be ridiculous to be trying to save some calories when eating a meal like this it’s habit by now to dip rather than pour, shrug. I asked for help from the waiter with deciding how the meat should be cooked, I knew I didn’t want lots of blood, ick, but I wanted it to be tender, definitely not chewy! The waiter suggested the steak be cooked to medium, he thought medium rare might be a little too red for me and well done would be too chewy. So medium it was! Because we were splurging we split an appetizer and a dessert, so much food! Mmm! 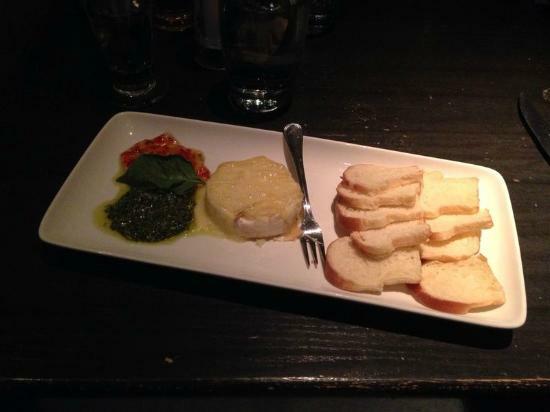 The appetizer was Baked Brie with basil pesto and red pepper jelly, served with crostini. 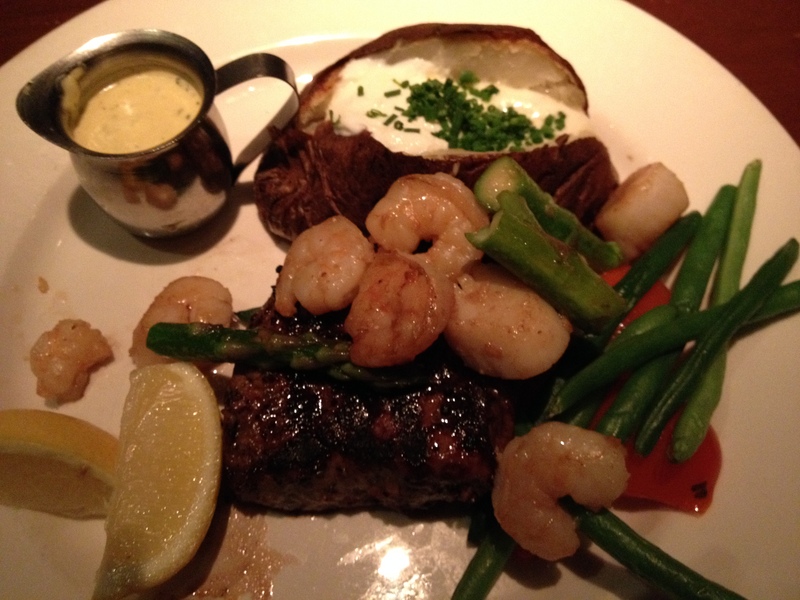 That dish alone is worth going to The Keg, so so so yummy! Then dessert, my favourite food group! I left it up to KL to choose what to order, we were torn between the cheesecake and the fudge brownie. 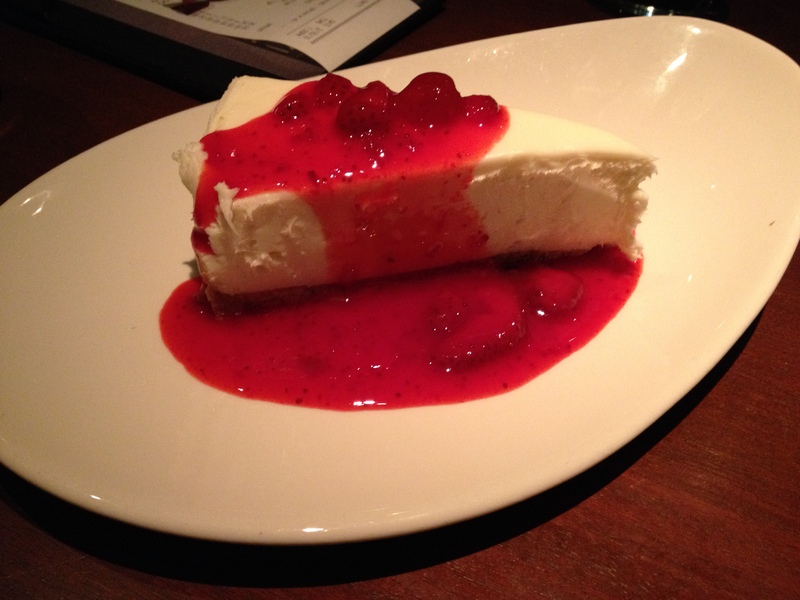 She chose the cheesecake which made me a happy camper because that was what I wanted lol It was a generous size, extremely creamy and thankfully not overwhelmed in sauce, they let the flavour of the cheesecake stand out, Mmm! I got more than my fair share of the cheesecake because KL wasn’t feeling very well and she only wanted a couple of bites. I felt badly about eating more than my half but no way could I stand leaving any on the plate. I know it makes me a glutton but it was so good, to leave any of it uneaten would have been a crime against taste buds everywhere! 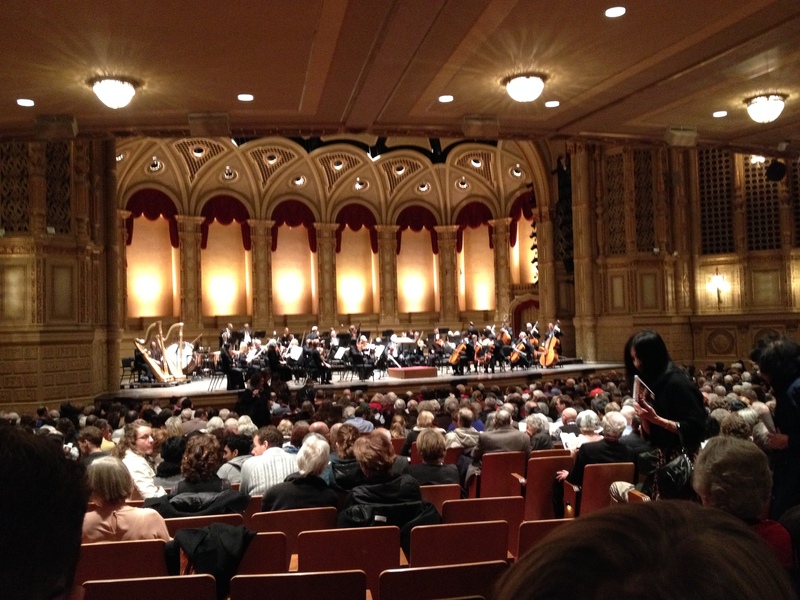 Now Beethoven I am familiar with, I listen to his work often but I was unfamiliar with Haydn and Bartok. 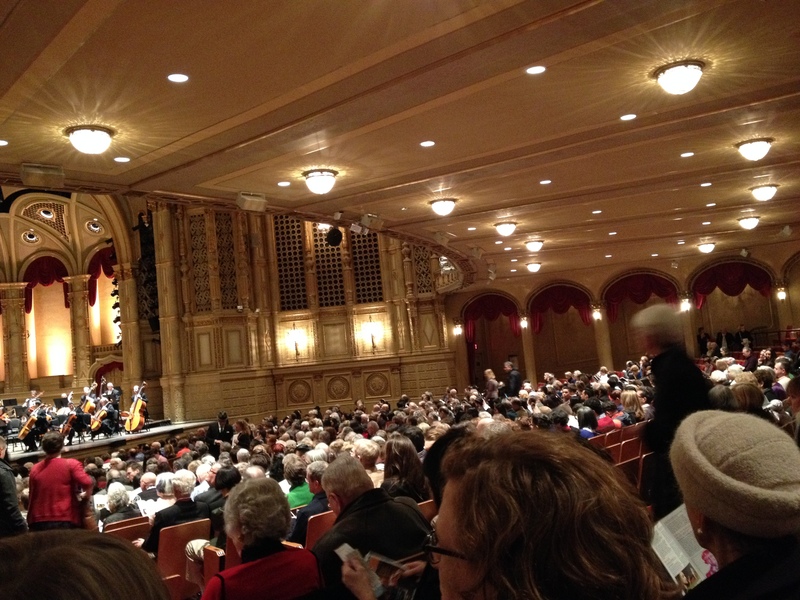 There was a violin piece by Bartok that has quickly become a favourite piece, it is beautiful. The emotion felt when listening to the music, the story the notes tell, I don’t have the words to properly describe it, I only know it resonates within me, which I feel is what music is meant to do. All in all, an awesome Monday evening. I wish KL had been feeling better, she enjoyed the music but got sicker as the night continued and by the end felt horrible. Hopefully we can go again and she’ll be better able to enjoy the experience. At least it is more educational than one of these reality Television stars, kim who?